Throughout the years, biographers have depicted John Calvin in manifold ways. Serene Jones takes a fresh look at Calvin as she draws a compelling portrait of Calvin as artist, engaged in the classical art of rhetoric. According to Jones, this art was used knowingly and skillfully by Calvin to persuade and challenge his diverse audiences. 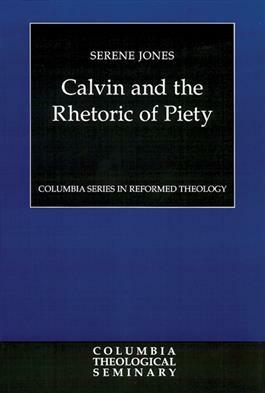 Jones offers a rhetorical reading of the first three chapters of Calvin's Institutes of the Christian Religion. What emerges is a truly original interpretation of Calvin and his work.